In order to encourage participation of early career scientists to EGU 2019, EGU offers a limited amount of financial support under two schemes: Early Career Scientist’s Travel Support (ECSTS) & Established Scientist’s Travel Support (ESTS). Scientists who wish to apply for financial support should submit an abstract, on which they are first authors, by 1 December 2018. If you want to know more details on how the applications are evaluated and funding is allocated, you can refer to this EGU blog post on GeoLog. If you will attend the EGU GA for the first time, don’t worry about how to find your way! It is very likely that this is going to be one of your best conference experience thanks to the excellent guide compiled by EGU. This introductory handbook, downloadable from here, is ready to help you with any questions in your mind (from registration to travel and accommodation). The conference experience for novice attendees, particularly students and early career scientists (ECS), can be overwhelming. The mentoring programme offered by EGU matches each ECS (mentee) with a senior scientist (mentor) to help ECS in their survival through the conference week in various ways (e.g., navigating the conference venue, networking, exchanging ideas on career development) and encourages long-term professional relationships. Joining this programme either as a mentee or a mentor is mutually rewarding! You can sign up for the mentoring programme in this link (Deadline: 31 January 2019). There are different types of sessions in the EGU GA programme. PICO – Presenting Interactive COntent – was first introduced at EGU 2013. Combining the advantages of both oral and poster presentations, PICO has proved to be a very successful presentation type making these sessions quite popular among all conference participants. 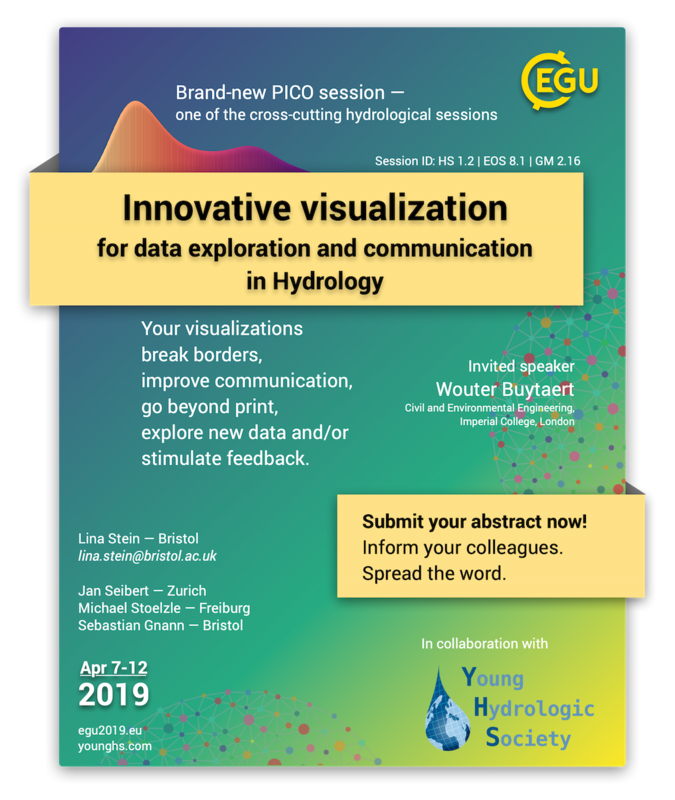 If you are planning to go for a PICO session at EGU 2019 but little confused about PICO, then the information presented in this post by Olivia Trani, EGU’s Communications Officer, is perfect for you! To avoid overcrowding in oral rooms and poster halls EGU has made changes in its schedule at the General Assembly. The changes does not affect the start (08:30) and end (20:00) times, and sessions will be still organized in time-blocks (TBs) with breaks in between. However, at EGU 2019, most TBs will now be 15 minutes longer and will feature all presentations types (posters, orals and PICOs) in parallel throughout the day. (Please note that orals and posters of the same session will NOT run in parallel, efforts will be made to avoid overlaps between related sessions.) In this way, EGU aims to offer a more comfortable conference experience to its attendees. Such a change is in support of the fact that all scientific presentations are equally important regardless of its format. More information can be read in this link. EGU has established a new working group to promote and support diversity and equality of opportunities, especially focusing on its activities of the GA. Alberto Montanari of HS Division is a member of this commitee (more information is available here). The code of conduct has been revised to recognise the value of diversity in particular in terms of geographical, gender, scientific disciplines and age balance. In line with these efforts, at EGU 2019 there will be a designated person to whom reports can be directed to and also a private room available. Other changes are on the way, e.g. new quite rooms, job center, a breastfeeding room. Stay tuned for the updates through https://www.egu.eu/ and @EuroGeosciences. The awardees’ presentations can be downloaded from here. All the awardees will get their prized during the EGU 2019 GA. For more information please read this post. In case you have any questions regarding the sessions or short courses, please do not hesitate to contact the conveners (contact information of session conveners can be found in the hyperlinks). Please have a look at also the EGU’s Natural Hazards programme covering sessions aimed at early career scientists organized by the NhET (Natural hazard Early career scientists Team)! We are looking forward to your contributions. Hope to see you in Vienna!